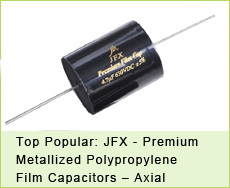 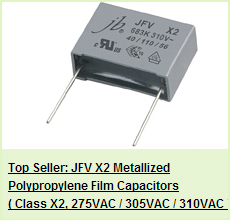 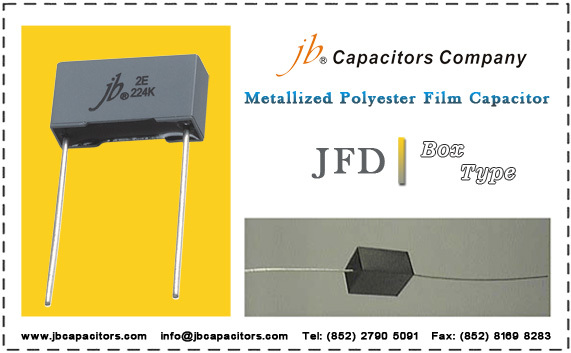 jb Capacitors produce good quality Axial MKT & MKP Film capacitors, 4 types, JFGA~JFGD, axial leaded, cycloidal, flat shape. 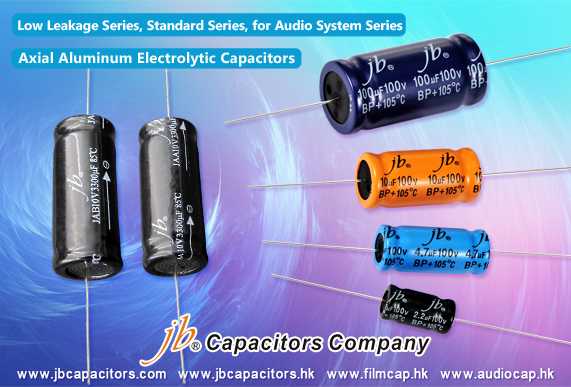 Widely used in instruments and the DC& AC circuit of the household equipment and the fractional frequency circuit of acoustics systems. 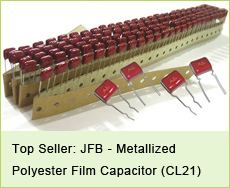 jb Capacitors are encased in a molded epoxy/plastic shell with epoxy fill. 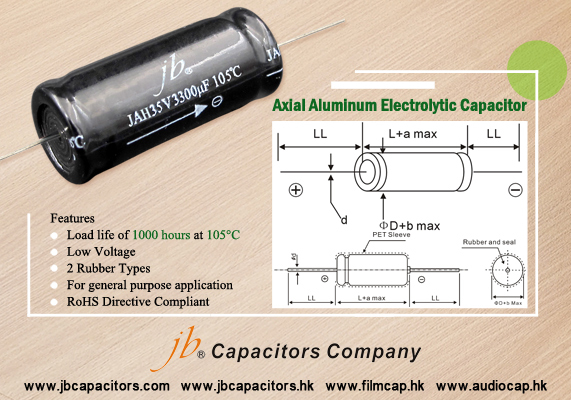 Available in Axial Leaded, Rectangular (Style E); Radial Leaded, Rectangular (Style F); and Axial Leaded, Round (Style T).